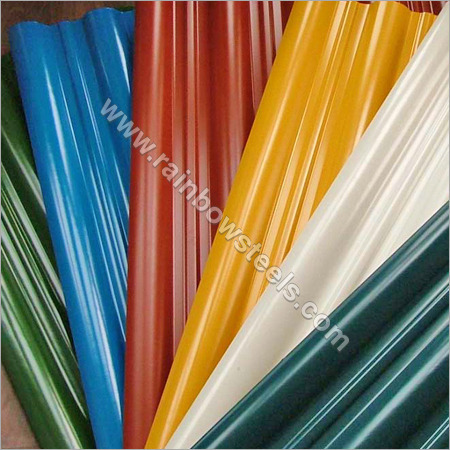 Rainbow Steel is leading the marketplace as a dependable manufacturer, supplier and exporter of PC PVC Corrugated Roofing Sheet. These sheets have a wide applicability in warehouses, carports, trading markets, factories, road fences, etc. Their super strong structure helps in withstanding extreme weather conditions like storm, ice formation, heavy rain, and more. Our Corrugated Roofing Sheets are environment friendly due to their recyclable, smokeless and nontoxic properties.